Stop and look both ways before entering street, even from a driveway or parking lot; look left, right and left again before entering the street. Make eye contact and make sure the driver sees you before crossing in front of a car. Protect your head, wear a properly fitted helmet. Ride in the same direction as cars. Follow the same rules of the road as drivers of cars. Ride in a straight line and stay out of the DOOR ZONE. Don't wave between parked cars. Never carry things that would prevent you from putting at least one hand on the handle bars. Do not ride with earphones in both ears. Keep your bicycle in good condition. Start walking only when "WALK" or white pedestrian is showing. If the red hand is flashing, you may continue to cross but don't start. Do no start walking against a "Don't Walk" symbol. Walk on the sidewalk, if there is no sidewalk, walk facing traffic. Don't walk on the bike lane if there is sidewalk available. The safest place to cross is at a corner, with or without a crosswalk. Give cars enough time to stop before entering the street. Wear padding and closed-toe and slip resistant shoes while using a scooter or skateboard. Check your equipment for wear and tear. Only allow one person per skateboard. 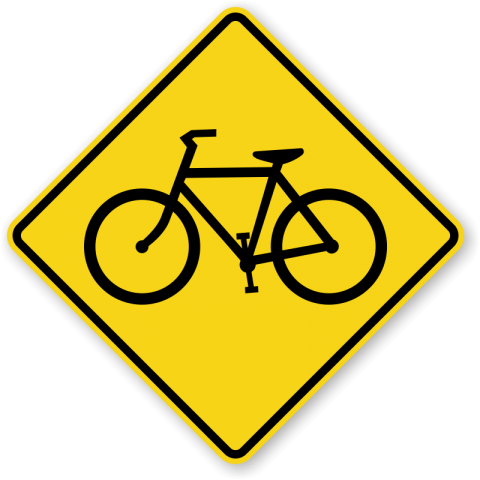 Do not hitch rides from bicycles, car or other vehicles. Never ride in the street and obey all traffic laws. Carefully practice tricks in designated skateboarding areas. Learn to fall-practice on a soft surface or grass.